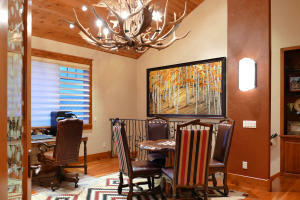 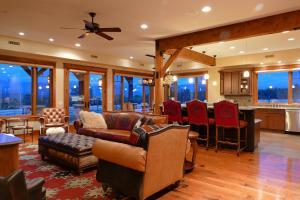 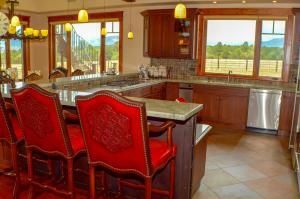 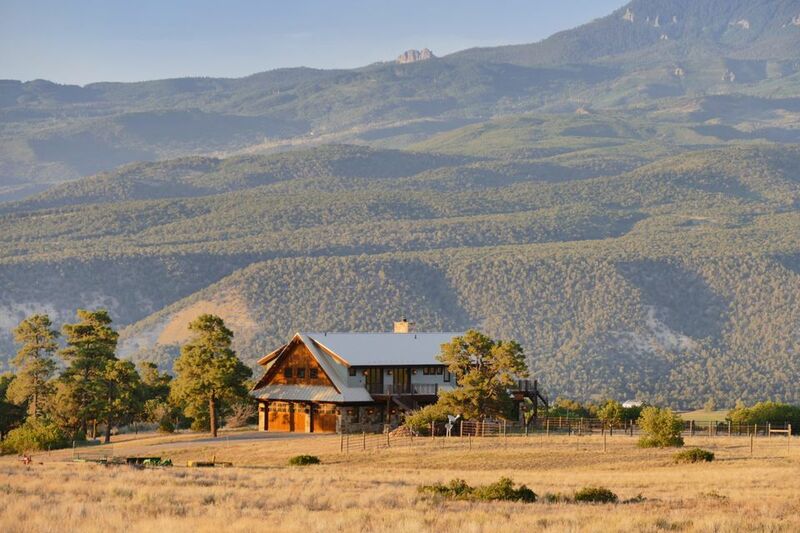 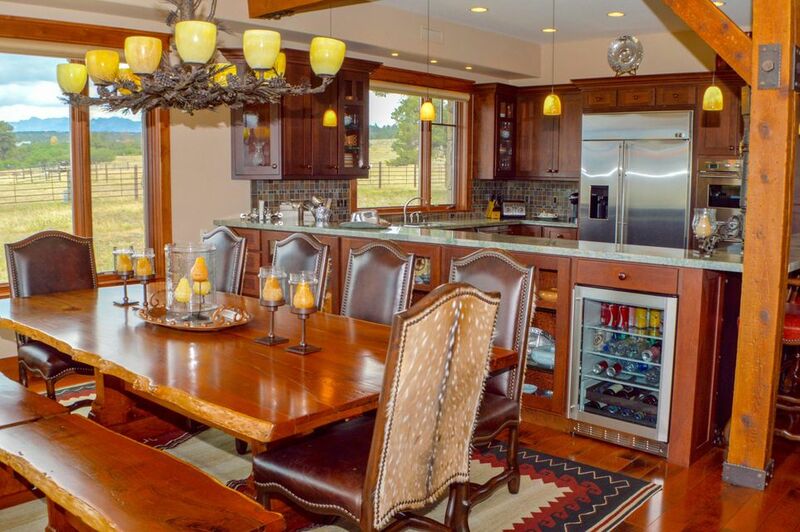 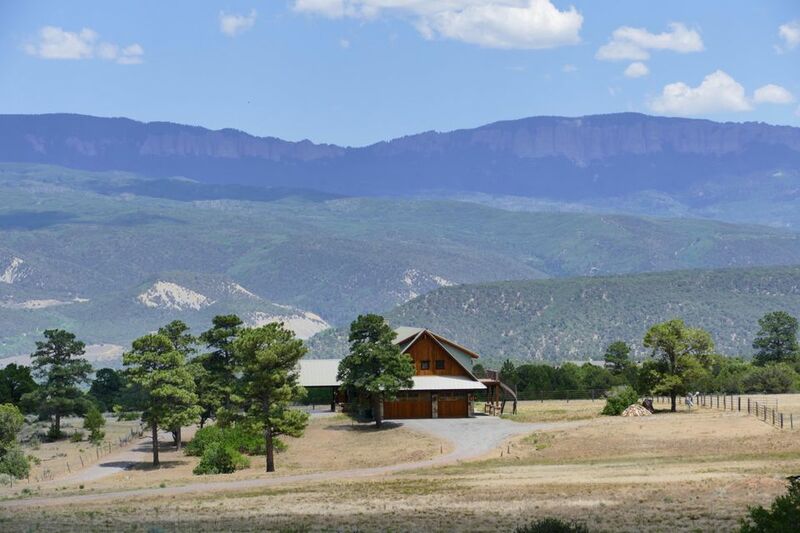 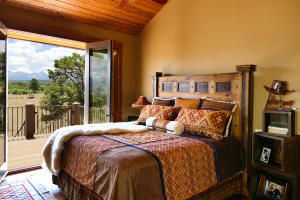 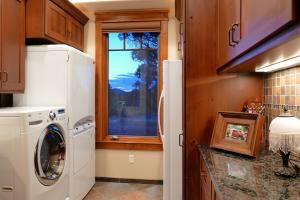 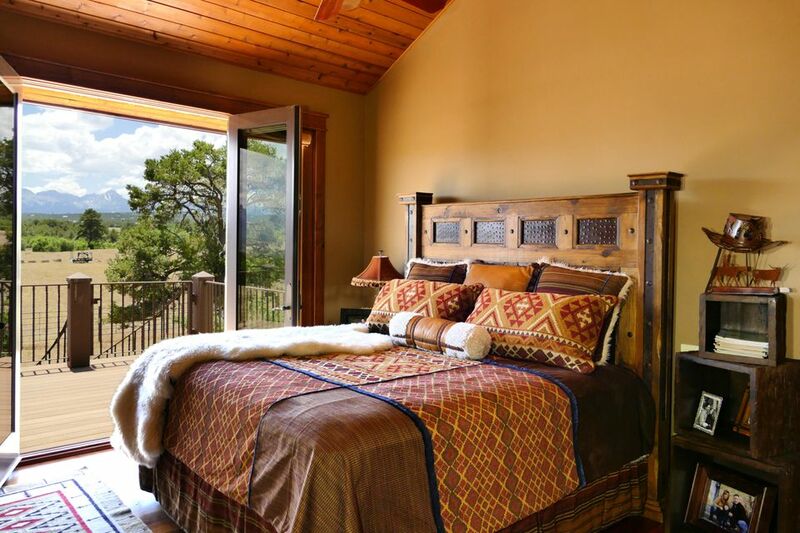 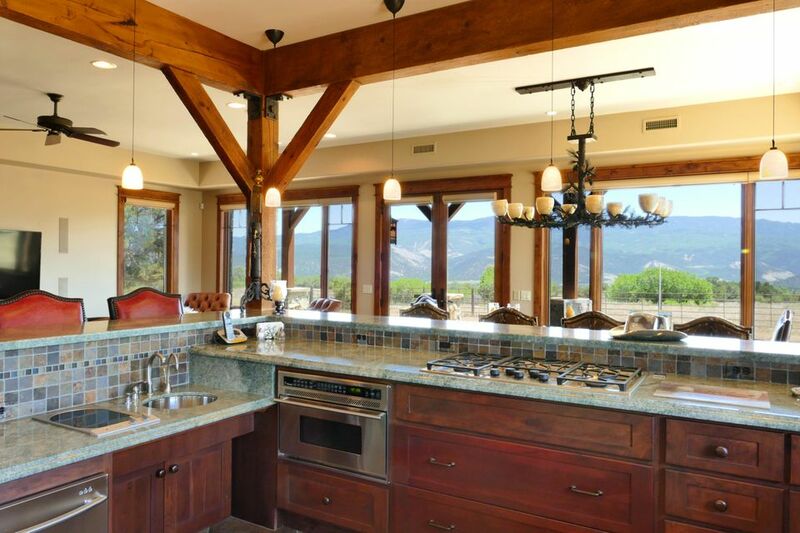 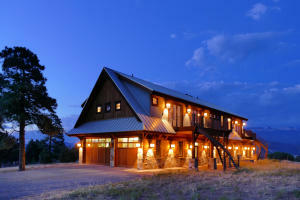 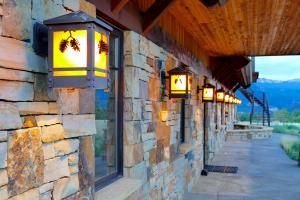 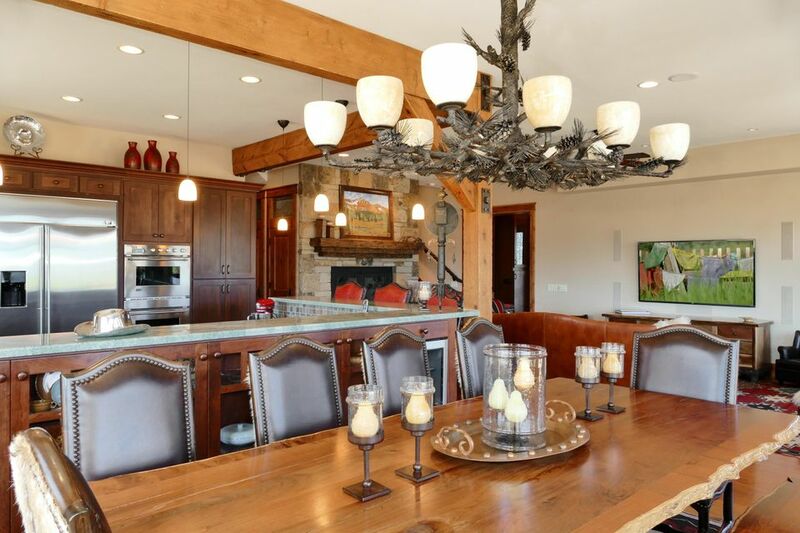 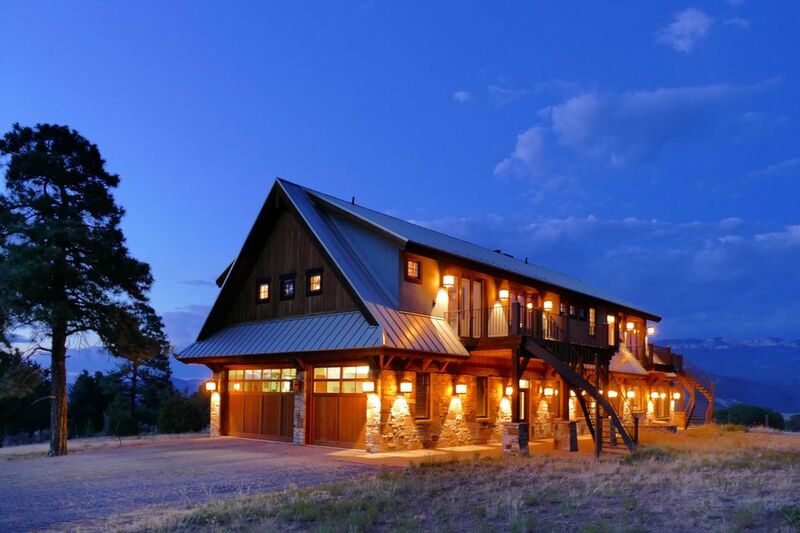 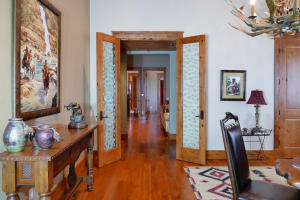 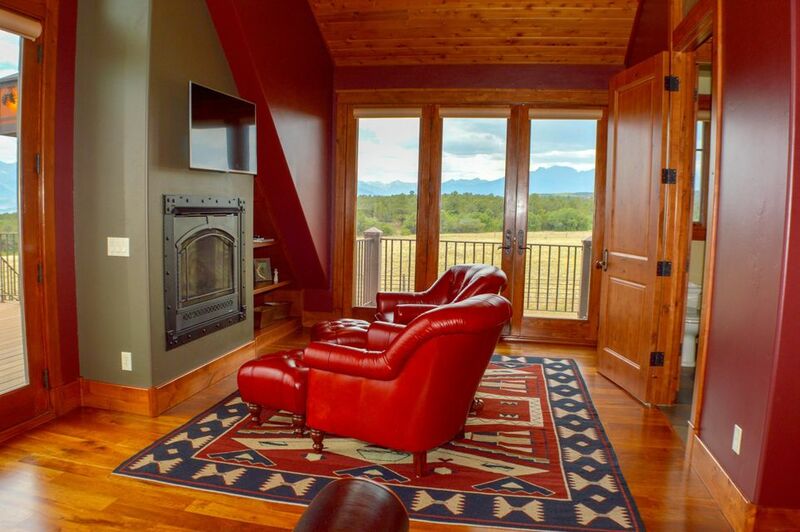 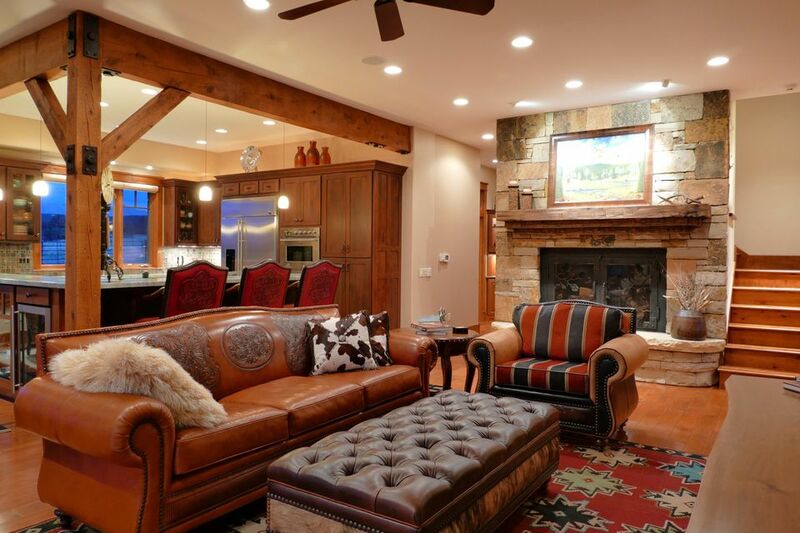 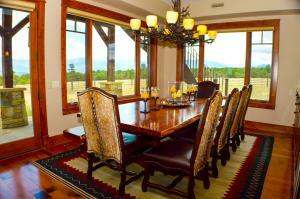 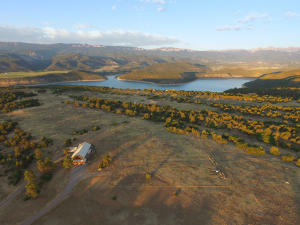 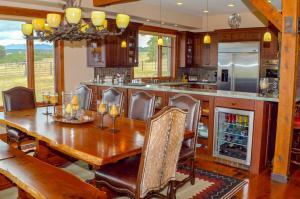 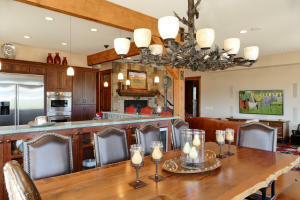 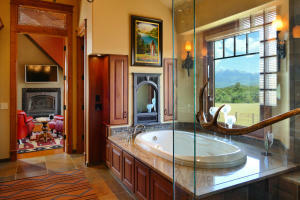 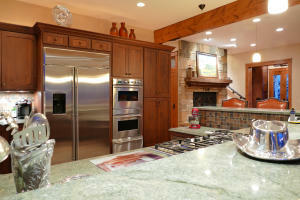 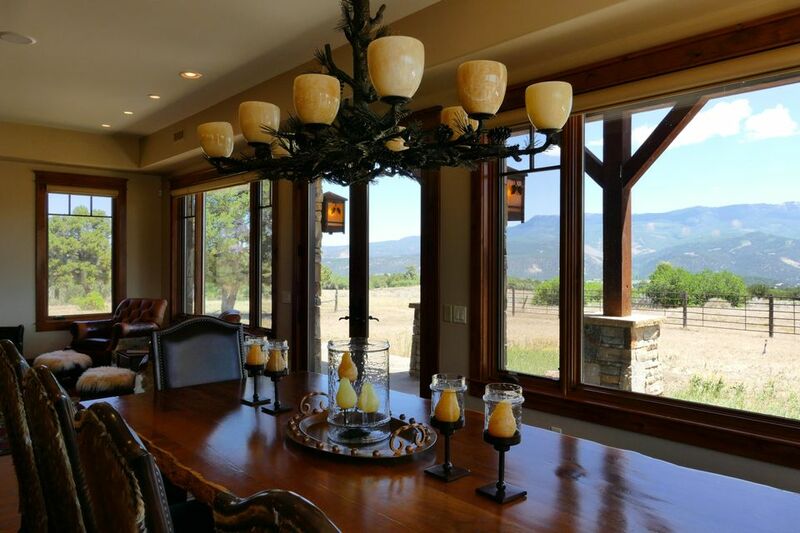 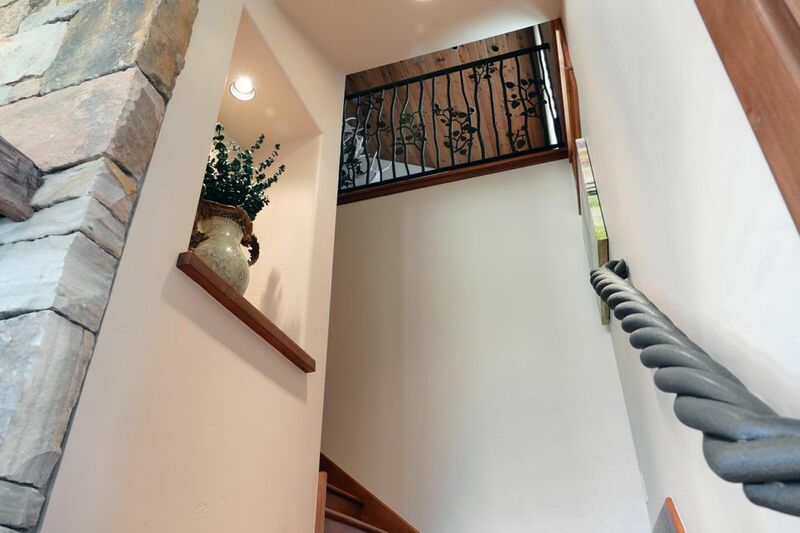 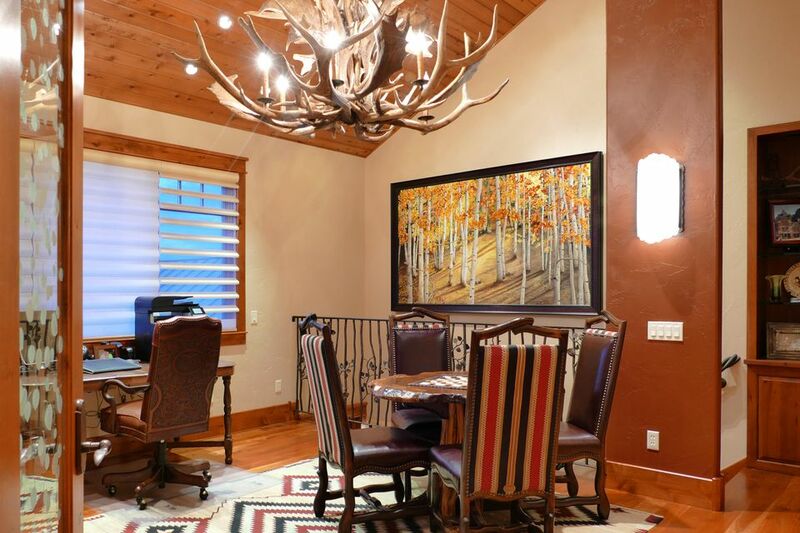 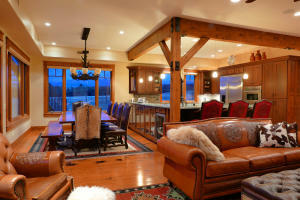 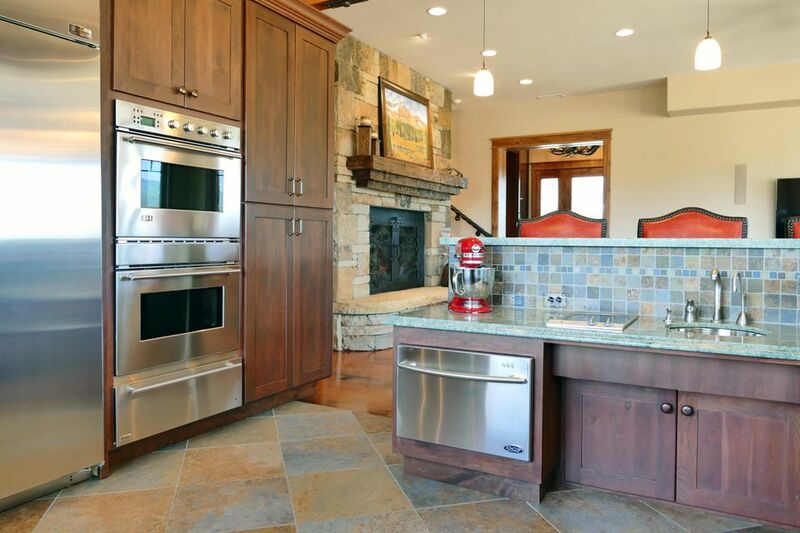 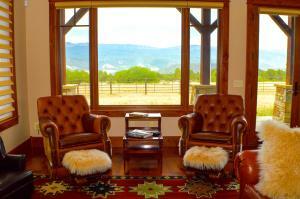 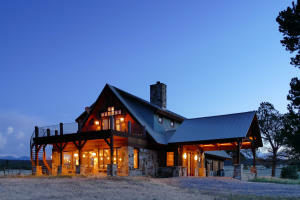 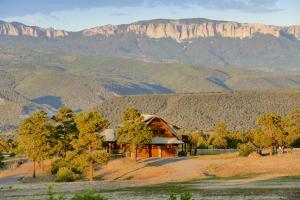 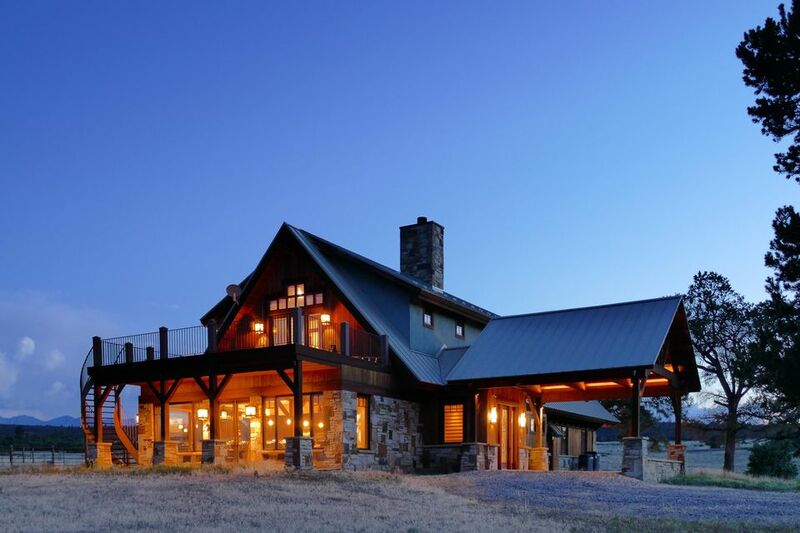 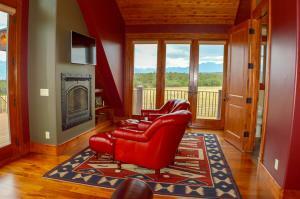 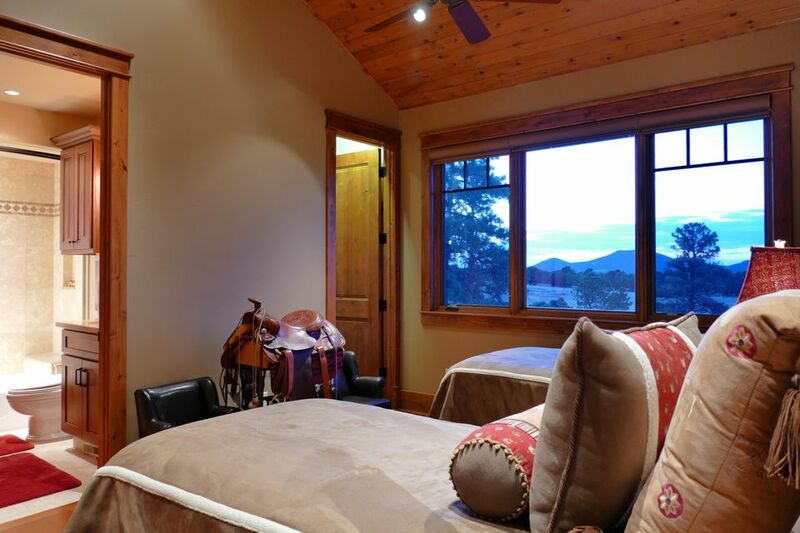 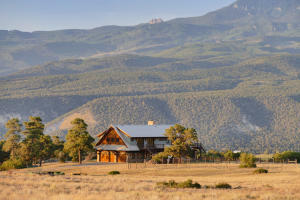 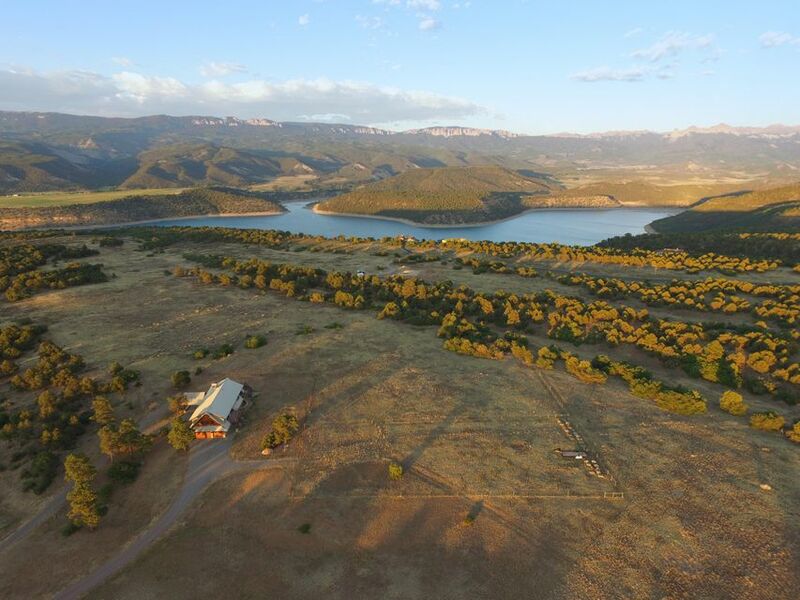 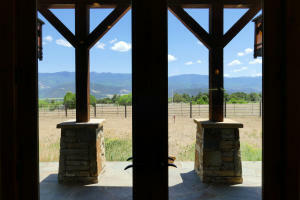 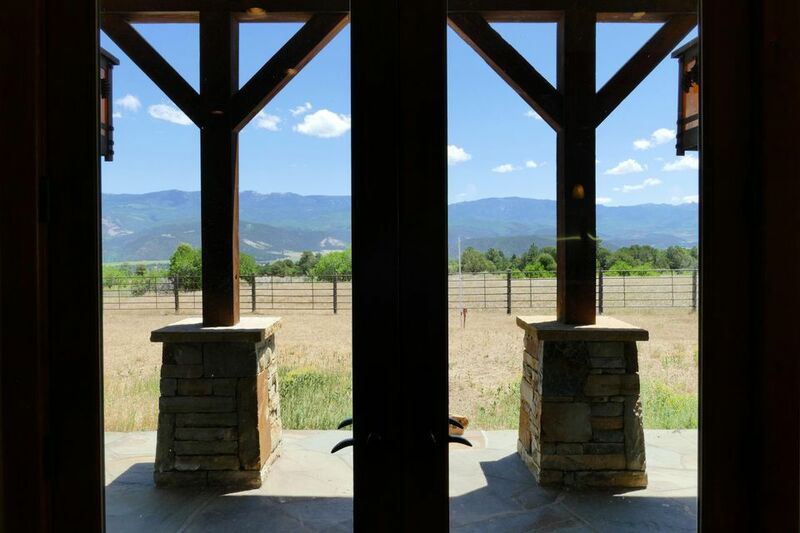 A captivating custom home, offering 360 degree views of the Cimarron and Sneffels Ranges. The house is set on the back corner of 40 acres, bordering a 1800 acre private ranch and greenbelt, giving owners discreet private luxury. A serene spot for a family retreat, 3900 square feet of living space, four elegant en suite bedrooms are each equipped steam showers. 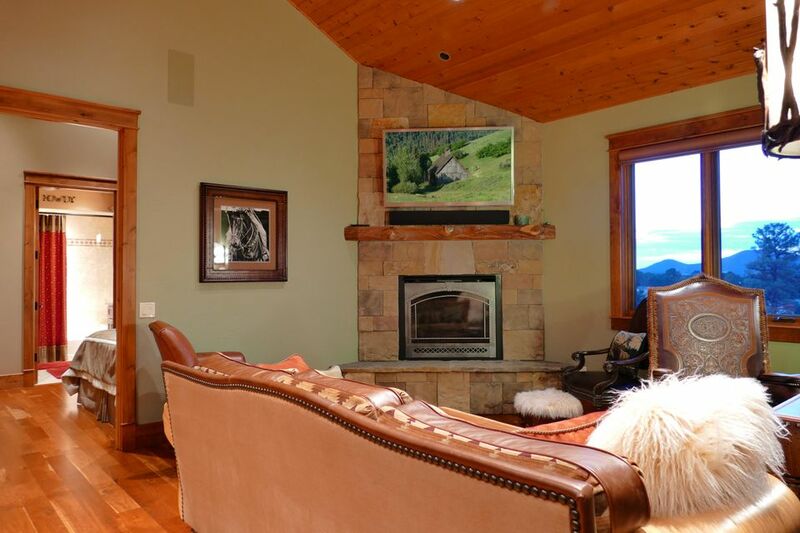 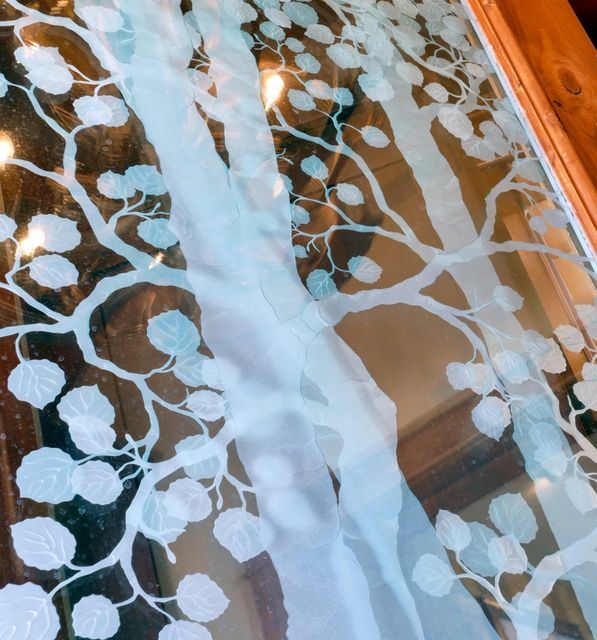 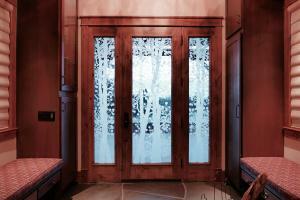 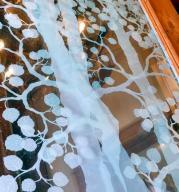 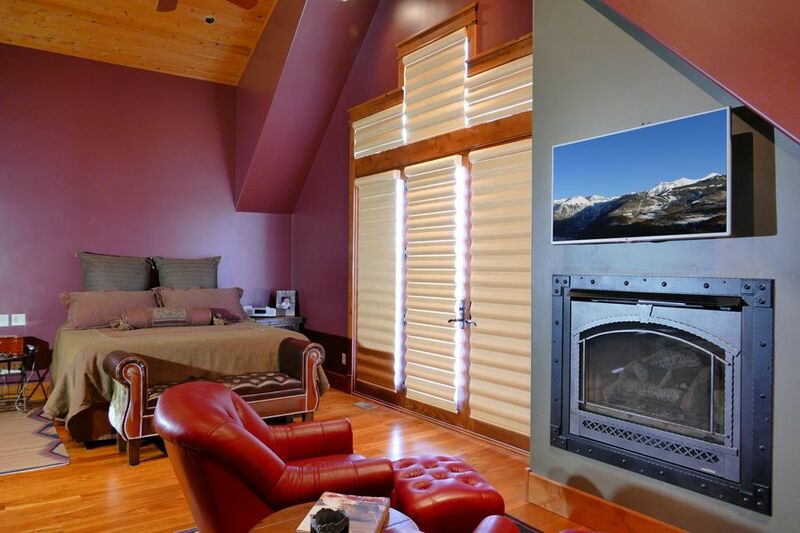 Stay cozy during Colorado winters with four fireplaces, one of which wood burning. 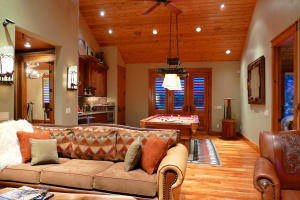 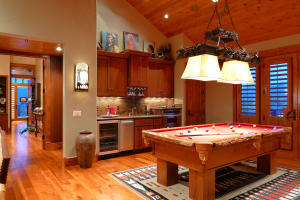 Enjoy the expansive decks and the entertainment in the billiards room, equipped with a bar. 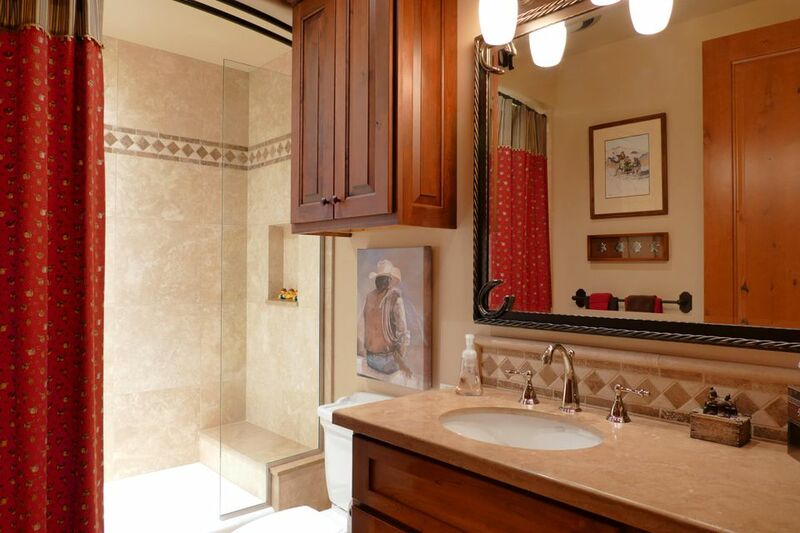 A kitchen with art-deco hardware includes a handicap kitchen station complements the home's southwest theme. 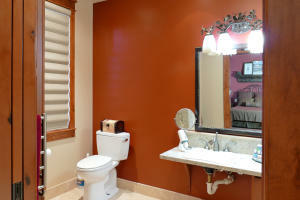 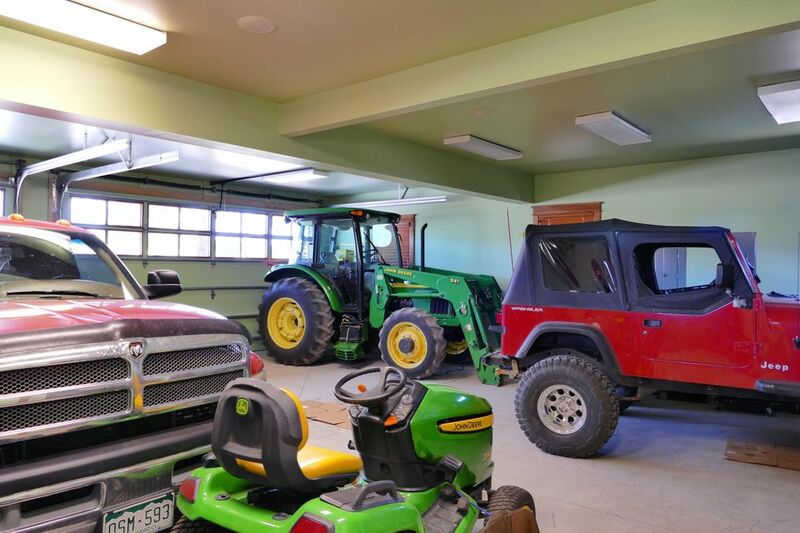 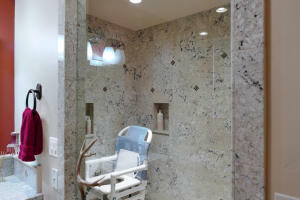 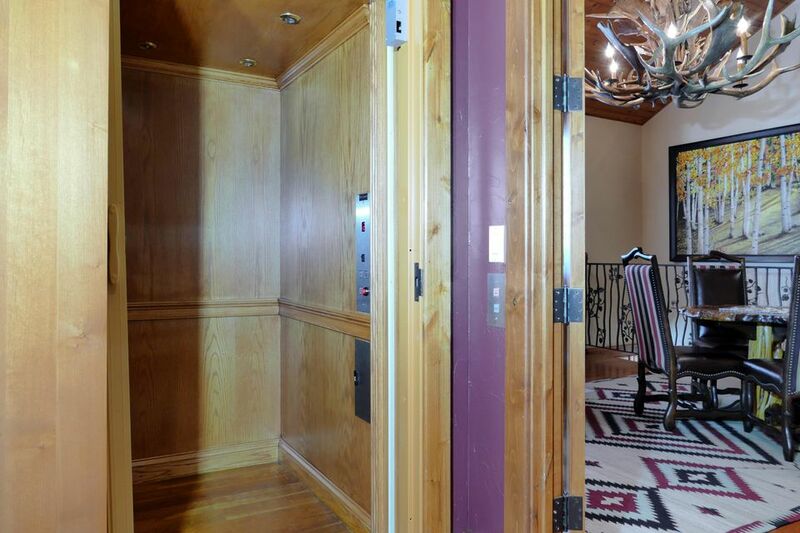 There is a hydraulic elevator and a disabled bedroom and bath on level one plus a large 4-car heated garage. 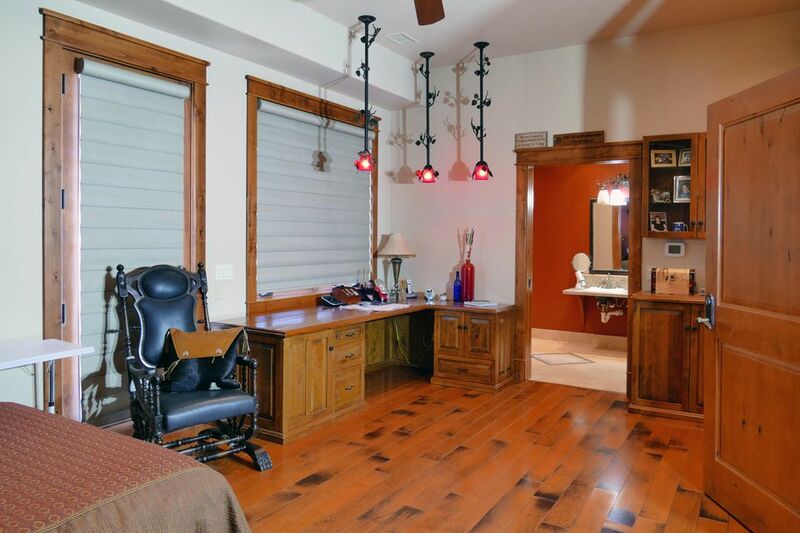 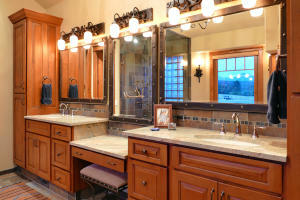 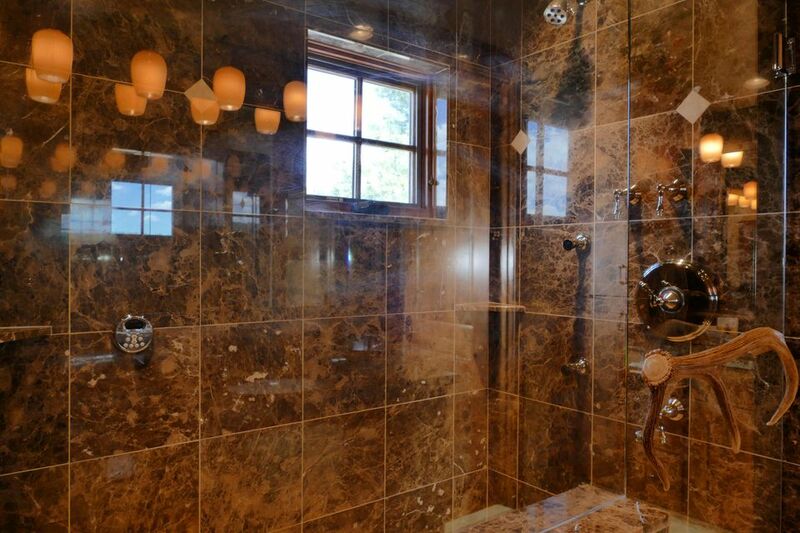 This custom built home will captivate all.